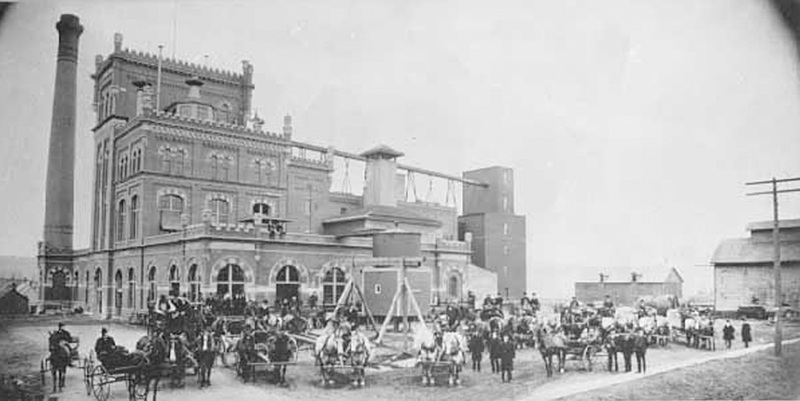 Originally built as the Cave Brewery, the Schmidt Brewery has been home to the Stahlmann, North Star, Pfeiffer, Jacob Schmidt and Landmark brands. The last kegs that rolled out of the location in 2002 were filled with Grain Belt and Pig's Eye brew. After a stint as an ethanol processing plant, Schmidt Brewery was vacant until a massive community and developer effort resulted in a plan for the revitalization of the brewery's 16 acres and the creation of Schmidt Artist Lofts. Due to the unique industrial and brewing uses in the various buildings, every one of the 247 live/work artist rental lofts has its own layout and personality, plus allows plenty of room for communal spaces and gathering areas. The building itself is noted by architectural historians for its crenellated towers and Gothic details. Schmidt Artist Lofts is located in St. Paul's West 7th neighborhood, a vibrant, eclectic area with blue-collar roots. The community atmosphere is remarkable and led by the West 7th/Fort Road Federation, with a focus on a sustainable quality of life and an interest in support of local parks, businesses, schools and arts institutions.